So what does it mean when God doesn’t shut the mouths of the lions, or when I feel the flames of the fire? God doesn’t always swoop down like Superman to save us. In Acts 7, Stephen was stoned to death. Tradition tells us that Peter was crucified upside down. Paul was beheaded. What does it mean when God doesn’t come through for me in the way I expected? Does that destroy my faith? Looking back at the story of Shadrach, Meshach and Abednego, I noticed something interesting. In Daniel 3:17, the three amigos tell the king, “’If we are thrown into the blazing furnace, the God we serve is able to deliver us from it, and He will deliver us from your majesty’s hand. But even if He does not, we want you to know, your majesty, that we will not serve your gods or worship the image of gold you have set up’” (emphasis mine). Our God can deliver us, but even if He does not . . . Do I believe that for my life? God can provide wisdom, healing, fame, fortune, love, a family, but even if He does not, will I still trust Him? If my life turns out to be completely different from what I had hoped and planned for, will I still follow Him? If my life is shortened and I suffer, will I still love Him? If I don’t get to see my miracle here on earth, does that make Him any less God? How can anyone suffer, even to death, or give up everything they could or already have for an invisible God? When He calls us into deeper waters where no solid ground exists, how can anyone have faith? How can anyone follow Him? How can anyone trust a God that may purposely let us fall? There . . . that’s the root of it all. Fear. Fear and faith are in opposition to each other. We can’t have faith and trust in God as long as we let our fear control us. It takes work to overcome fear. 2 Timothy 1:7 in the Amplified Bible reads, “For God did not give us a spirit of timidity or cowardice or fear, but [He has given us a spirit] of power and of love and of sound judgment and personal discipline [abilities that result in a calm, well-balanced mind and self-control.” So let’s break this verse down. In the Greek, spirit is pneuma which means spirit, breath or wind. Power in the Greek is dunamis. In its noun form, it means “inherent power, power residing in a thing by virtue of its nature.” We know that in and of ourselves we have no power. But this verse says God has given us a spirit of power. Not just any spirit but His Spirit, full of power. Love in the Greek is agape. It’s a Greek word for love not used by classical Greek writers, but only by biblical writers, teachers and scholars. It is the highest, deepest most sacrificial love that God has for us. We can only agape others when we accept God’s agape for us. We do this by letting agape flow through us to those around us. Agape isn’t something we can manufacture because it never originates with us. The last word which is translated into English in a variety of ways, self-control, self-discipline and sound mind is sophronismos. It comes from two different words, sos meaning safe and well and phren meaning heart, mind and thought. The only time it appears in the Bible is here. Therefore, we have been given the breath of God, the Holy Spirit, who lives in us. By virtue of our new nature we have incredible power residing in us. We have a God who loves us higher, deeper and more sacrificially than we could ever imagine. And our hearts, minds and thoughts are safe and sound in His care. Wow . . . That makes me want to climb mountains, tackle giants and take over the world . . . for a moment. But then life happens. Friends hurt us. We disappoint, and we are disappointed. We cry over broken hearts and dream of something bigger. We know that we were created for something more, but where is it? How can we trust an invisible God when things aren’t going as we planned? We can’t . . . not alone, at least. But we have His amazing Spirit who lives inside of us. He has the ability to trust. He has the ability to conquer giants and tame lions. Our part is to rest in His power, His love and to trust that He will keep our hearts and minds safe. This leads to another question. What is safety? We view safety as never getting hurt and always getting our way. But we live in nasty, fallen world. It is full of traps and a lion roaming about seeking whom he may devour (1 Peter 5:8). What if safety is something different? One of the most influential stories that helped me trust God deeper is from Lee Strobel’s book The Case for Faith. It’s about a hunter and bear. I’ll tell the story in my own words. Can we agree that our ability as humans to comprehend, think and reason is greater than a bear’s? Can we also agree that God’s ability to comprehend, think and reason is greater than ours? Okay, with those two things in mind, imagine you are a hunter in the woods. You come upon a bear with his foot caught in a trap. Your heart hurts for this bear, and you want to rescue it. However, because the bear is hurting and full of fear, he lashes out and won’t let you near. Imagine you have a tranquilizer gun (I don’t know why, maybe you’re a catch and release hunter). You shoot the bear with a tranq dart. The bear perceives this as harm because he doesn’t understand. Slowly, the medicine has an effect, and the bear lets you close enough to inspect his wound. It’s a spring trap. In order to release the bear, you’re going to have to push the trap tighter, just for a split second. This increases the pressure and the pain. Again, the bear perceives this as harm. However, he doesn’t realize that in order to be fully and finally released from the trap, this momentary pain is necessary. Finally, you pour medicine over the wound and carefully wrap it. The medicine stings, and the bear thinks you are trying to harm it. All along the way, the hunter only wants to help the bear. Every move he makes is to release the bear from his trap, provide healing and offer freedom. However, the bear believes that the hunter’s every move is calculated to cause pain. The bear can’t understand the fullness of the thoughts and motives of the hunter. Could it be that moves of God we perceive as painful or harmful are actually moves to offer us greater freedom? If we don’t get what we are hoped for, could it be that God is not withholding something from us, but waiting to give us the best in return? The best may mean living in the dirt in Africa. The best may mean living in voluntary poverty. The best may mean being single. The best may mean never having kids. The best may mean a different career. Can we trust that God knows what’s best for us, even if we can’t see it? When we let go of fear and trust that He has the best for us, He will change the desires of our hearts to align with His and grant us deeper freedom. We must surrender to His spirit, then He does all the rest. He will always be present. When you’re feeling the flames or being ripped apart by lions, He is there. He is there—that is what you can trust. For our questions this week I think it would be cool to journal some of the questions Jessica mentions in this post. Do you trust that God knows what’s best for you, even if you can’t see it? What are the times like when you feel like the “bear”, scared and in pain? Take a moment and listen to “Oceans” by Hillsong. Truly listen to the lyrics. Journal what the lyrics mean to you. Think about what your “waters” mean and what they are. Write it. Draw it. Paint it. Express what it means. < Previous The Lion of Judah Roars in Me. Next > Loving through the conflict. My last job required me to travel between two islands that takes a 1 hour ride in a fast craft every weekend. So you can only imagine how I fall into a trance when I play that song as part of my ‘praise’ playlist in the middle of the sea. I made those words my personal prayer because I was trying to find what Gods’ purpose for my life were. I planned and accomplished a lot of things that did not fill a void in my heart. I wanted to be content with what I have, yet I felt I could do so much more for Him and this was the message of the song for me. I quit that job to pursue something more but during the last four months, He gave me the chance to encounter Him in silence and broke through my fears, anxieties and doubts. I was intent on being more for Him and for the world, that I failed to see the joy that He wants me to experience, that only He can give and ultimately, lead me to where He wants me best. 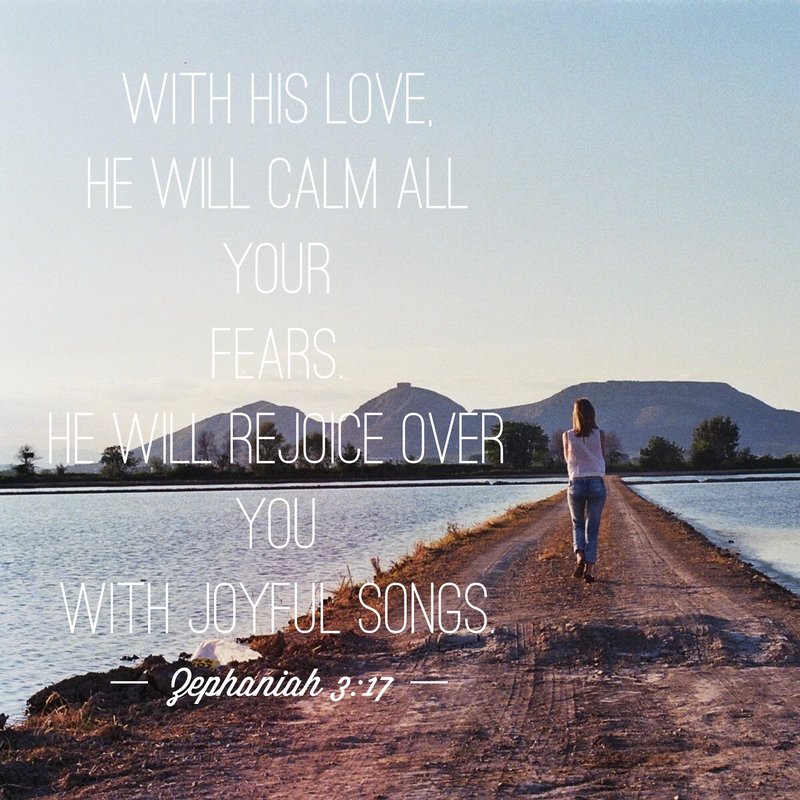 That joy will replace the fear and the best is something I am praying for and looking forward to. And yes, I am scared, but I know “my faith will be made stronger in the presence of my Savior”. Ladies, your posts are part of my lifeline, you just don’t know how it speaks to me. Godbless all of you! This post particularly has brought encouragement to myself and my friends on multiple occasions in ways I cannot explain. Thank you for being an obedient, sweet sister and publishing this and all the other posts! God bless! Reblogged this on the stomach in my brain throws up on to this page..